Mikhail Ilyashev, Managing partner of Ilyashev & Partners Law Firm, was named among the top ten best managers according to the research «TOP-100. Best Top Managers of Ukraine» based on the assessments of top managers and performance of the firms during the previous year. The rating of the legal market leaders was presented by 45 nominees. Roman Marchenko, Senior partner of Ilyashev & Partners, in an interview to the newspaper «Investgazeta» defines the main requirements to the modern top managers of law firms as follows: «to create an «effective» team, to find and keep the clients. Those who cope with it are successful managers, and those who fail are unsuccessful», states Marchenko concisely. He believes that there are a few really successful legal businesses in Ukraine – about two dozen firms that sound familiar, are recommended by all ratings, have a stable and highly profitable business for decades. «Indeed, lawyers set up their law firms, but it will take time to understand how successful their businesses will be», assures the lawyer. 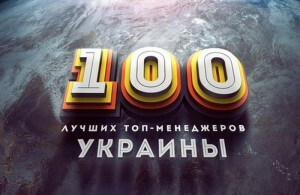 The Research Center «Top-100» was established on the basis of the Ukrainian Investment Newspaper, which entered the publishing market 17 years ago».